What Does The Future Hold For Alex Iwobi? Alex Iwobi has enjoyed some renaissance under Unai Emery this season. From shuttling around the first team, the Nigerian has built a magnificent shelter at the Emirates. Even Aaron Ramsey and Mesut Ozil are mere tenants. Still, there rumours of discontent. No Arsenal player has benefited from Arsene Wenger's departure and Emery's subsequent arrival as Iwobi. Although, his prodigious talent was never in doubt, flaunting them was. Just when he seems to be nearing his finest moment, the 22-year-old then goes off the rail. The usual tricks and skills aside, he was utterly clueless without any purpose. With a little of bit ill-fortune on the part of teammates, however, Iwobi is thriving this term. Ramsey’s jersey would be vacant in the summer. Perhaps Ozil, too, who has become something of a ghost these days. And also owing to Emery preference for output rather than pedigree. 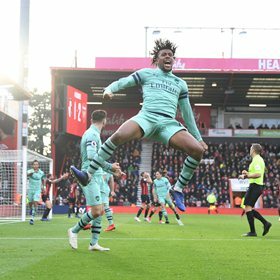 Iwobi has already equalled his personal best return for goals with three. In terms of assists, he's helped out on six occasions. The Nigerian is among a select group of Gunners stars who is almost certain to feature in every game. Even when he doesn't start, he is rest assured that he will be called upon. In recent time, his pace, dribbling and has been most rate than ever. Which has given the North Londoners the edge to walk away with at least one goal in almost every game they play, helping fans have a good in sight when getting involve in soccer betting. However, there are rumours that the potential signing of Denis Suarez from Barcelona could spell an end to his fine run. Emery is a huge fan of his former student and is already plotting a loan switch for the ex-Sevilla midfielder. If that happens, then Iwobi may join Iwobi in ghost mood. Owing to the dreadful partnership of Alexandre Lacazette and Pierre-Emerick Aubameyang, the Nigerian has had to drop to the bench with Ramsey preferred in the playmaking role. Suarez's arrival will only make things worst for the 22-year-old.